Historic Downtown Littleton. 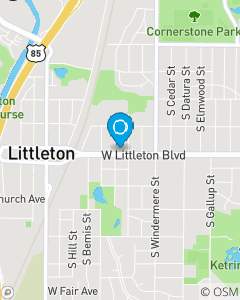 Just east of the light rail station on the north side Littleton Blvd. Whether it's providing you with a free quote, or assisting you with an insurance claim the Reece Agency, State Farm Insurance office in Littleton CO delivers supportive, personal, and local customer service 24/7. We provide you with personalized auto insurance, home insurance, renters insurance, and life insurance protection. For all of life's unexpected moments we've got your covered! Call, text or email us today!